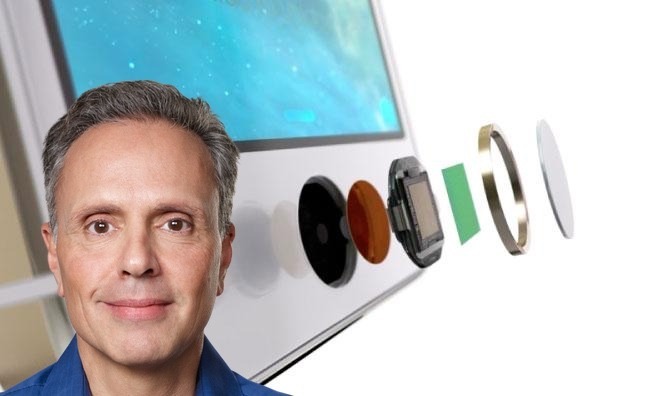 After playing integral roles in two of Apple's most important product innovations— its custom A-series processors and the Touch ID fingerprint sensor— Johny Srouji has been rewarded with a new title that sees him reporting directly to CEO Tim Cook. As part of a series of changes among Apple's top brass, Srouji has been named senior vice president of Hardware Technologies. The title makes him the newest member of Apple's executive team. An Arab-Israeli from the city of Haifa, Srouji earned bachelor's and master's degrees in Computer Science at Technion— Israel Institute of Technology. Prior to joining Apple, he worked in silicon design at both Intel, where he was senior manager of its Israel Design Center, and IBM, as director of development of its Power 7 processor unit. When he started at Apple, Srouji's title was senior director of handheld chips and VLSI (very-large-scale integration). 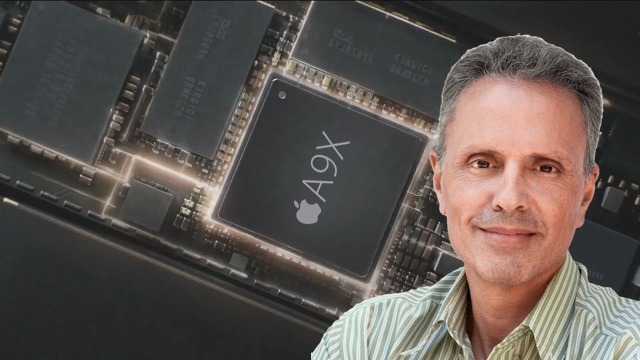 It was in that role that he spearheaded development of the A4 processor, a landmark achievement for Apple that paved the way for advancements in future iPhones and iPads. 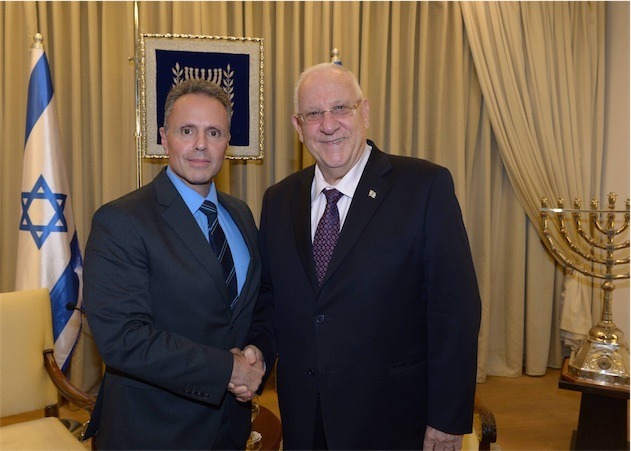 Apple's Johny Srouji, left, with Israel President Reuven Rivlin. Credit: Amos Ben-Gershom, Israel Government Press Office. Apple's silicon development originally led to the A4, its first custom-designed System on a Chip, debuting in the iPad in 2010. Since then, Apple's electricity sipping CPUs have become even more powerful, most notably with the desktop-class A9X processor found in the 12.9-inch iPad Pro. Srouji was also involved in creating the first Touch ID fingerprint sensor Apple first introduced in the iPhone 5s in 2013, according to Israeli publication Haaretz. His expertise doesn't stop there, however: Apple also noted that he has also overseen in-house developments of new battery, storage and display technology. Srouji's appointment to senior vice president Hardware Technologies puts his title essentially on par with Dan Riccio, Apple's senior vice president of Hardware Engineering. Riccio has been with Apple since 1998, and currently leads the Mac, iPhone, iPad and iPod engineering teams. In years past, Apple's semiconductor teams were overseen by Bob Mansfield, also a hardware engineer. But in 2013, he relinquished his role on Apple's executive team, taking on a smaller position working on special projects under Cook, the CEO. Srouji's new, more visible role at Apple only serves to emphasize the importance of the company's in-house silicon development, a key hardware facet that helps to differentiate its products from competitors. Beyond the A-series chips in the iPhone and iPad, Apple also has custom M-series motion coprocessors for advanced low-power sensors, and the S1 silicon that powers the Apple Watch. There have also been recent rumors that Apple could begin offering its own proprietary graphics processors as part of its A-series chips. Apple currently uses slightly modified PowerVR designs from Imagination Technologies, but an in-house GPU could allow for more powerful devices— and could even potentially allow Apple to abandon Intel for an ARM-powered Mac.